This semester's theoretical unit examines the rather complex and intricate subject of Digital Culture. The first session identifies parts of the histories of the digital. We were introduced to a key term such as cyber, cyberspace and cybernetics. All these terms describe or are connected with electronic communication networks like the Internet and the World Wide Web. Cyber is derived from the Greek word Kubernetes meaning “Steersman” or “Governor”. 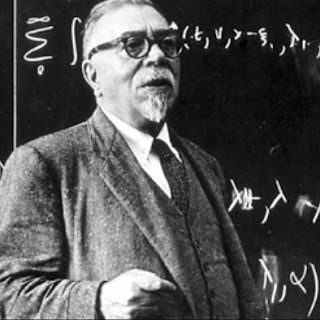 The term 'cybernetics' was coined in Norbert Wiener's book Cybernetics or Control and Communication in the Animal and the Machine (MIT Press, 1948 and 1961) and describes it in “Cybernetics in History”, The Human Use of Human Beings in reference to the complex communications and control systems in the animal world and in mechanical networks, in particular self-regulating control systems. Wiener’s use of the term suggests how people interact with machines through a controlling device, such as a steering mechanism. Randal Packer and Ken Jordan argued that “Wiener's remarkable insight, which is the premise behind all human-computer interactivity and interface design, is that human communication should be a model for human-machine and machine-to-machine interactions”. Packer and Jordan also point out that in his discussion of cybernetics “Wiener claims that the quality of man-machine communication influences man's inner well-being. His theory of cybernetics was meant to improve the quality of our existence in a technological society, where people are increasingly reliant on machines, and where interactions with machines are the norm. The design of machines, and their ability to respond effectively to us, has a direct impact on the social condition” (2001, p48). I have read that Wiener was Hungarian born although Wikipedia states that he was born on November 26, 1894, in Columbia, Missouri (some websites say Maryland) other sources have describe him as Polish or of Russian descent. From the word cybernetics emerges “cyborg", for "cybernetic organism".